Defence Connect readers overwhelmingly believe the government should have considered a nuclear-powered solution for Australia’s SEA 1000 Future Submarine Program. But they are more evenly divided on some other defence issues, such as whether the government should have mandated use of the ASC workforce for construction of the Future Frigates project SEA 5000. The same applies to whether the government made the right choice for the new Offshore Patrol Vessels (OPVs) under project SEA 1180. On the question of nuclear subs, 75 per cent voted that the government should consider a nuclear-powered option, whereas 25 per cent said no. The issue of nuclear subs has long been debated, as their unlimited range and endurance makes them especially well-suited to Australia’s need to patrol vast areas of ocean. Successive governments have said no – though the Coalition has been less adamant – citing the absence of a domestic nuclear industry for support and high costs. Over the years, various options have been suggested, including leasing US Virginia Class boats. French shipbuilder Naval Group, designer for Australia’s new subs, also builds nuclear-powered subs, with the potential for Australia to go nuclear should it eventually choose. The debate was re-ignited recently by Tony Abbott, who expressed regret that he did not consider nuclear submarines when he was prime minister. 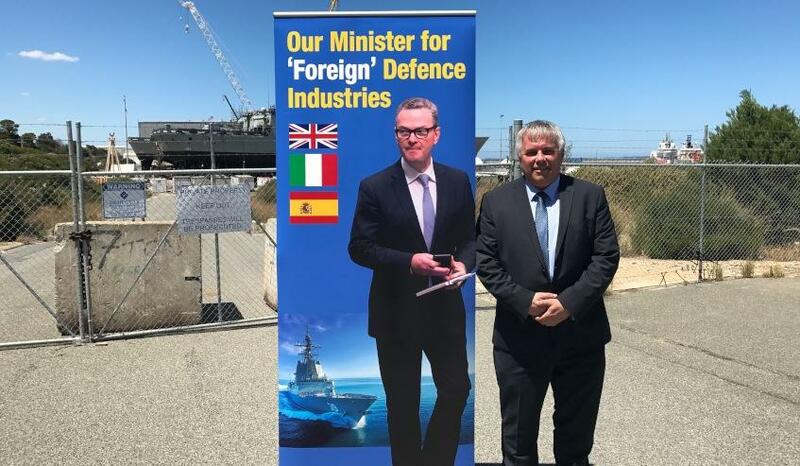 Also hotly debated, especially in South Australia, is the future of the government-owned ASC Shipbuilding and its explicit decision not to require whoever wins the Future Frigates deal to use the ASC workforce to construct the new ships. In the request for tender documents, the Commonwealth says its intention is that the successful tenderer should directly manage and supervise the workforce. Responsibility for build management and supervision should not be sub-contracted in entirety to a third party. ASC is now finishing the last of the three air warfare destroyers and will then begin constructing the first two OPVs. After that, its workbook is clear. This sparked outrage from, among others, new SA senator Rex Patrick, who said the government was using taxpayer money to introduce a foreign competitor to the Australian market and that was absurd and offensive. He called for the government to mandate use of ASC and Austal on SEA 5000. In a Defence Connect poll, 49.8 per cent of respondents said the government should have mandated use of the ASC workforce for construction of the Future Frigates, while 44.6 per cent said they shouldn’t. The remainder “didn’t know”. Other issues also split the industry in 2017. The contest for SEA 1180 OPVs was very much over-shadowed by SEA 5000 and the new subs, but was a crucial first step in getting the new national shipbuilding industry up and running. There were three contenders – German firms Lürssen and Fassmer, and Dutch firm Damen – none at all well known in Australia. After a comprehensive evaluation, the government chose Lürssen with its design based on the Darussalam Class OPVs constructed for Brunei. A total of 53 per cent of respondents to a Defence Connect poll said the government didn’t get that decision right, as against 47 per cent who said they did.